Many people take a car loan for quite a long time. Standard car loans up to 7 years of the loan. But sometimes in life there are situations which make it impossible to continue quality service the debt. Car loans in recent years perceived as the standard situation. Partial a proportion of customers who pay the entire cost of a car in cash today is more than 10%. But it happens that in 3 or 5 years of total loan term man get tired of his car. Or in life there is a force majeure- a layoff, family problems, loss of business, etc. then what to do with the loan machine, how to sell or renew? You must decide who will deal with the renewal of the loan on the car you, as the owner, or the Bank as the mortgagee. If you trust this Bank, it will save a lot of time, but will not allow to re-register a car with the profits for themselves. Put on websites for used cars sale your ad with the desired price which will repay the entire loan balance and will even bring a little profit. If you begin to receive calls safely arrange a meeting. To hide from a potential buyer that the car loan is not necessary, but on the phone it sound is not necessary. If the buyer agrees to your terms, then there are three ways. The first option is the renewal of the loan to the new owner. For this you need to check does your Bank such transactions, but, as a rule, banks are willing to agree to this option for lack of overdue debts. The buyer must submit the same documents which you submitted for the loan. And then the day of the deal just signed a contract for assignment of credit and car between you and the future owner of the car. Besides my car, the new owner takes on all obligations for the loan and you do not need the Bank. The second option — the repayment of the loan balance at the expense of the future owner of the car. If the buyer agrees, he goes with you to the Bank, repays the entire loan balance with your money. The Bank then the Bank gives you a title and you together with the buyer go to the nearest traffic police for removal of a vehicle from the register and putting on the new owner. The rest of the money the buyer you must give the traffic police. If a person doubts, you can offer to attract a notary who will witness the transfer of the part and the cash balance for the car that both parties were confident in the legality of what is happening. The third option is to use the services of a Trade-in. 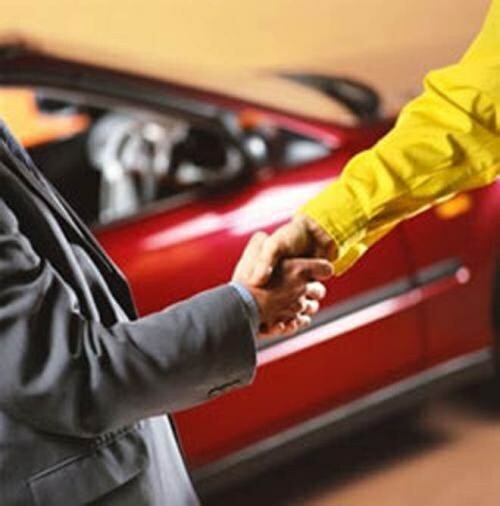 Is dealers of cars that are currently engaged in and auto loan. They will repay you for the remaining loan debt, the outstanding sum of money will be given to you, revise the title and the car is not yours. But the disadvantage of such companies is too low a price on the car, they are willing to pay. Their services are worth to use only if very necessary. What if the renewal of the loan will occur through the assignment of credit, the buyer will need to provide to the Bank a certificate of an official wage, which will allow to serve the loan. The Bank may not give permission to re credit the machine, so this must be clarified in advance. Update, took ever the buyer Bank loans, if you want to renew on it the car loan by signing contracts of assignment. For the buyer it is useful to check the seller's machines at any notary on the subject of other arrests, in addition to the Deposit machines, to prevent fraud.